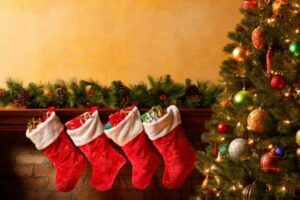 Are you busy and don’t have enough time to go shopping to buy something for them this coming Christmas? Then you are opted to give them a Steam Wallet Codes where they can use to purchase fabulous items in their Steam Wallet Accounts. Steam Gift Cards and Wallet Codes are the easiest way to put money or funds into their Steam Wallet. They can also give a perfect gift of games to their online gamer friends. If you’re wondering how the Steam Gift Cards work? 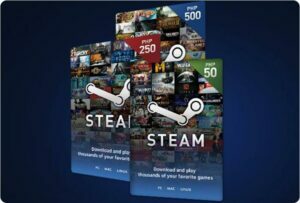 It is just like a gift certificate while Steam Wallet Codes work just like a game activation code both of which can be redeemed on Steam for the buy of games, software, wallet credit, and any item that they can purchase on Steam Powered Store. Are you asking where you can find Steam Wallet Cards with codes that can be redeemed into Steam account? Where do you live right now? Are you living near at convenience, grocery, game stores or electronic retailers? If your answer is Yes, then you can purchase Steam Wallet Cards with codes! You can also buy Steam wallet codes printed directly on your proof of purchase bill/receipt or delivered via SMS / Text Messages and email through the different booth, counter, cybercafes, and websites. If you have PayPal account, then codes are also available directly there! Where can you buy Steam Wallet Code in super and fastest way? We are thankful because Wallet Codes a product of Forest Interactive creates a brilliant way to reload Steam Wallet and bring it to the Philippines! We can now purchase steam wallet codes using mobile numbers! Visit www.wallet-codes.com and select the amount. Send or give the code to your love ones. Here is the Pinaka-astig na sikreto ni Lorelyn Faith sa Steam Realoding! Please visit: https://www.facebook.com/WalletCodesSteam and www.blog.wallet-codes.com for more details.